Suree Brown was born and raised in Thailand. After obtaining her B.S. in chemistry from Chulalongkorn University, she came to UT for her graduate studies under Prof. Craig Barnes, under whose training she acquired skills and experiences in organometallics and olefin polymerization. 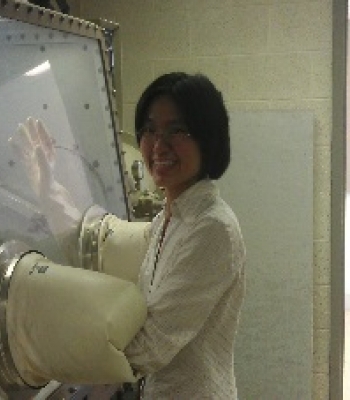 She started working with Prof. Sheng Dai during the final year of her Ph.D. study. After obtaining her Ph.D, she continued to work with Prof. Dai at Oak Ridge National Laboratory (ORNL) and later on at UT. She has had the privilege to work with various advanced materials, including nanomaterials, polymers, and hybrid materials, for a wide variety of applications, including radiation detection and uranium recovery from seawater. She is happily married, and she and her husband enjoy reading, swimming, and spending time with children and animals.